A few weeks ago a newsletter purporting to be a TSBP document and purporting to report on the accomplishments of the Economic Development Committee (“EDC”) was delivered to most residents’ mailboxes. The newsletter is an absolute fraud. The newsletter implies that these are accomplishments of the EDC and the EDC chair. But in fact none of these are accomplishments of the EDC, and none are accomplishments of the chair of the EDC. The accomplishments listed above and described in the newsletter are accomplishments of the taxpayers (who paid for them), and for the most part are accomplishments of the Economic Development Officer (“EDO”) Danielle Mulasmajic, (who implemented all but one). Neither the EDC nor the EDC chair had any part in the “accomplishments”. The EDC has accomplished absolutely nothing since the start of the term in October 2010. So if it’s a big lie, why would the chair of the EDC falsely claim all those “accomplishments”? My guess is that the newsletter is the early start of a campaign to try to elect the EDC chairman to council in 2014. The newsletter implies not too subtly: “Hi. I’m chair of the EDC. Just look what I have accomplished already. Just look what I’ve done for the town. Vote for me in 2014”. The newsletter bears the Town Of South Bruce Peninsula logo, implying that it was endorsed by the council. In fact it was not. Council did not even see the newsletter. Council Policy A.3.2., which governs Town communications, was breached. 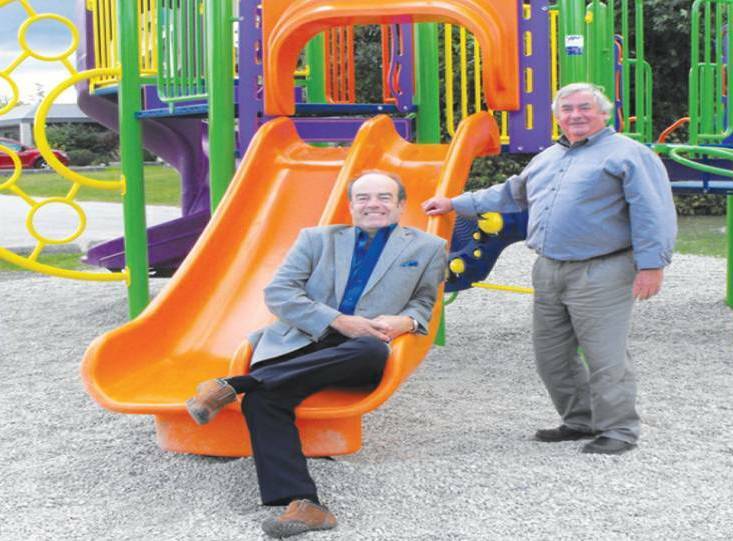 In the “chairman’s message” on page 1 of the newsletter, the chairman talks about economic development being “actions that will enhance the lives of the citizens in our community” and efforts to “help the Town of South Bruce peninsula towards a better future”. Yet by wasting Danielle Mulasmajic’s valuable time, and by preventing her from doing her job, and by wasting taxpayers’ money on the false propaganda newsletter, the EDC chairman and the EDC are draining tax money from the treasury, and are making the citizens of the town not richer, but poorer, and are making the future not better, but worse. The newsletter purports to be a service to the residents. It’s not. It is instead false partisan propaganda, a service to the EDC chairman, paid for with money swiped from our treasury. I try not to judge people by the company they keep. So please think of my inclusion of the picture below as a moment of weakness on my part.